I'm Shirley Griffith. And I'm Ray Freeman with the VOA Special English program PEOPLE IN AMERICA. Every week we tell about someone important in the history of the United States. This week we tell about singer and songwriter Sam Cooke. The song is called "You Send Me." It was written and sung by a young singer and songwriter, Sam Cooke. During the late nineteen fifties and early sixties, Sam Cooke was one of the biggest stars in the music industry. His smooth voice and musical style were popular with both blacks and whites. His influence still is present in today's music. Sam Cooke was born in Clarksdale, Mississippi, in nineteen thirty-one. He grew up in Chicago, Illinois. His father was a minister in a Baptist church. Sam started singing religious music when he was only fifteen years old. When he was nineteen, he became the lead singer of a famous gospel singing group called the Soul Stirrers. In nineteen fifty, he began writing and recording for the Soul Stirrers. During his six years with the group, Cooke brought his own kind of expression to gospel music. He became gospel music's biggest star. His good looks and singing abilities made him very popular among women, both young and old. Here is Sam Cooke with the Soul Stirrers singing "Touch the Hem of His Garment." Although Sam Cooke was a star with the Soul Stirrers, he wanted to sing other kinds of music. So, he decided to sing popular music instead. Cooke's decision to "cross over" to pop music shocked many blacks. That was because making such a change was not as easy then as it is today. Racial tensions were high between blacks and whites in the nineteen fifties. And gospel music was popular among black people. It was considered an important part of black culture. The company that recorded the Soul Stirrers' records urged him not to start singing pop music. They thought it would offend the group's fans. Cooke, however, wanted to sing to all groups of people. He wanted to express his racial identity without offending whites. At that time, most records by black artists were not played on radio stations that had white listeners. So, he left the gospel music world where he was extremely popular with blacks. But the move was not a mistake. He soon became a big star singing pop music. Sam Cooke's first pop record was released by a small company, Keen, in nineteen fifty-seven. It was "You Send Me." It was a huge success. It sold one million seven hundred thousand copies in the first year alone. It is one of his most memorable recordings. Here is the first version he recorded of that song. It was made to show Cooke's ability to sing. Sam Cooke had a voice that was unlike any the public had ever heard. His voice was soft, yet intense. He made singing seem effortless. Cooke was also a wise businessman. In nineteen fifty-nine, he became the first black artist to establish his own record company, SAR Records. He wrote most of his own material. And, he owned the rights to his songs through his music publishing company, Kags Music. Very few blacks at that time were able to control their musical profession in such a way. And, without such business control, they lost money. 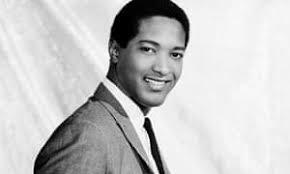 Here is another hit by Sam Cooke, when he was with the Keen record company, called "Wonderful World. " In nineteen sixty, Sam Cooke signed an agreement with a major record company, RCA. Such a move is common today. But, a move from an independent black-owned record company to a major record company was something few black artists were able to do then. Cooke had a number of big hits at RCA. In this song, Sam Cooke uses a "call and answer" form of musical expression that started in the black church. The song is called "Bring it on Home to Me." In nineteen sixty-two, Sam Cooke recorded a song for RCA about a popular new dance step, the Twist. The song is called "Twistin' the Night Away. " In December nineteen sixty-four, Sam Cooke's life was suddenly cut short. He was shot and killed at a hotel during a visit to Los Angeles. He was thirty-three years old. His death shocked his fans. Thousands of people gathered at his funeral. Two of Cooke's last songs were released after he died. One of the songs is called "A Change is Gonna Come." It is a powerful song that combines gospel and pop music. The song is like many of Sam Cooke's that made him so popular as a singer and songwriter. It is about never losing hope. You should then be able to save and reload these overlays as required. Kedgeree is one of those dishes brought back from India in the days of the Raj, and was wildly popular with the Victorians. Apart from being absurd on the face of it, if it were as easy as that, we would have been overrun by saints since time immemorial. This part of the field has been fenced off to keep the cattle out. We have shared the grief of an Olympic dream cut short. The memory of Nodar Kumaritashvili will always be with us.